I don't know about you but I am about centered out at this point in the year! The countless hours of laminating and cutting is finally wearing me down! 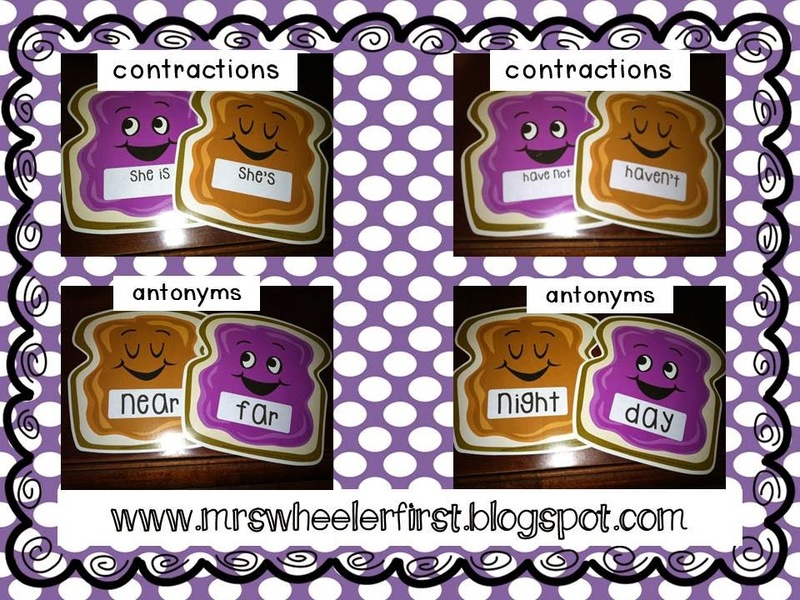 Last summer, I created some easy, minimal prep centers using labels and cutouts from The Dollar Tree. 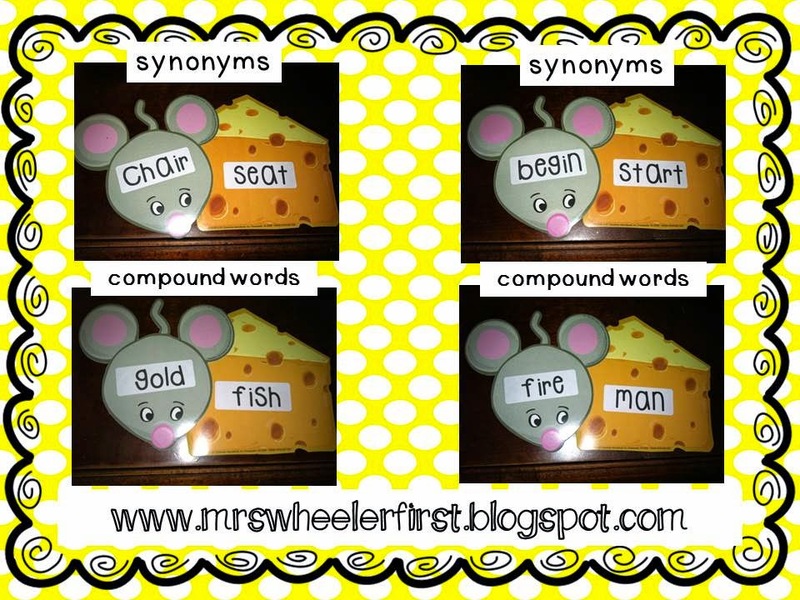 There are synonyms, antonyms, compound words, and contractions. Just print the labels, slap them on some cutouts, and print the recording sheet. You can laminate if you little heart desires, but if you don't want to, I won't send the laminating police to your house! Want to win a $10 gift card to The Dollar Tree so you can get your cutouts for free? Click here to enter! Click here to snag the free labels and click here to snag the recording sheets! Happy Teacher Appreciation Week! I always wondered what you could do with those cute cut outs from Dollar Tree! Now I know! Great ideas...would be so fun with primary classes. Now, I just need to find a way to use them in fifth grade next year!